We arrived to find the park mostly full, due to a fishing tournament, but were assigned to one of the very long pull throughs in the outer loop on the lake front. That afternoon, 90% of the folks left, and the remaining RVs pulled out in the morning. We found ourselves in the campground with only two other RVs. The sites are mostly level, gravel surface, and have about 50 feet of grass between them. Picnic tables, fire pits, easily accessible hookups, and some shade trees make for a wonderful place to spend some time. The staff was extremely friendly and helpful, as were the other campers in the park. There are a few stores in the nearby town where you can shop for necessities, but if you need more, Pocatello is a 20 minute drive to the east. We ended up extending our stay a week because the quiet and relaxed atmosphere agreed with us so much. Some other reviewers complained about the train noise but the only time we heard whistles they were off in the distance. The trains did pass with some regularity, but we didn't find them objectionable. We camped at Willow Bay Recreation Area in a Motorhome. The onsite cafe is a nice place to relax and have a nice meal. There is also a nice walking path around the park, along the lake, and towards town. A boat ramp is available in the park should you have a kayak, canoe, or boat. The good and the bad...This park could be a rated as excellent, but because of some design flaws is just average. We pulled in with our MH and were surprised to be told immediately that our money was nonrefundable as soon as we signed the reservation paperwork. I thought that was strange, but when we drove to our site, it became all too apparent. The sites are somewhat narrow, not at all level, and not well laid out. Every site I looked at had the electric at the very back of the site, the water in the middle, and the sewer was in the front of the site. If you don't have 30 foot of sewer hose, you can wait until you leave, like we did, and dump by pulling forward out of the site, until your hose can reach. You will also need some boards to get your coach somewhat level. Not wanting my front wheels off the ground kept us walking uphill to the rear of our coach while we were here. Other than those things, the campground is in a great location, is quiet, and the scenery is spectacular. The staff was very helpful and courteous, and even changed their minds about not letting us stay here with our German Shepherd, although they charged us and additional $5 for the Shepherd and $5 for a 5 lb. Papillion. I definitely thought the price was out of line with the facilities available. Hopefully, the owners will reconsider the layout of the sites and improve upon their usability. We will probably drive right past this place on our return trip. We camped at Glenwood Canyon Resort in a Motorhome. The Glenwood Springs area provides a host of outdoor recreational opportunities, and for those interested in shopping or just enjoying a look at some rural America, there are plenty of things to keep you interested. This is primarily a waterpark/marina and I would imagine during the summer months is extremely crowded and loud. We stayed here in their off season so the park was pretty empty and the waterpark was not yet open. The staff here is very friendly and very helpful. The park is located close to town, with shopping and attractions close by. The sites are concrete and some are level, but there are large concrete columns placed randomly throughout the area that, combined with the tight turns and narrow roads, make for some interesting navigation in a 45 foot rig. While here, we saw a couple rigs get caught up on the concrete curb while negotiating the tight turns. As long as you're careful driving around the interior of the park, this is a nice place to stay. We camped at Nashville Shores in a Motorhome. The park sits on the shores of J. Percy Priest Lake and offers fishing, kayaking, and canoeing. The Andrew Jackson Hermitage homesite is a few miles down the road, as is shopping and restaurants. Nashville attractions are a short drive away as well. Just the homeowners front yard in a quaint, little town, but a nice, quiet, place to stop for a day or two. We were passing through the area in our 45 foot motorhome and wanted to spend a couple of days away from all the hustle, bustle, and children who are now apparently out on spring break. This place has no pool, no playground, or anything to lure family campers to their facility, but the place is clean and the owners are friendly. There are 12 sites along the edge of the owners front yard and most are fairly level. We didn't have problems leveling, and the 50 amp was clean and stable. Water and sewer also were sufficient, and the others staying here were quiet and friendly. If you are crossing the state in this area and are looking for a quiet place to stay for a budget price, look no further. We camped at Palm RV Park in a Motorhome. Shopping is available in nearby Lake Butler with an IGA grocery, several convenience stores, and a NAPA store. If you need more, Walmart and other larger stores can be reached about 15 miles away in Macclenny or Alachua. At the nearby Chastain-Seay Park you can kayak or canoe the Santa Fe River or enjoy a quiet picnic along the river. This is one of the nicest state parks we have been able to stay in. There are no sewers, but they have 50 amp service, water, and pull thrus large enough for the biggest coaches. There is plenty of good fishing, kayaking opportunities, and trails to walk. The park is pet friendly, and there are lots of places for the pets to walk. The only downside would have to be the distance to the town of Jackson. Take whatever you will need. Shopping is about 21 miles. We camped at High Falls State Park in a Motorhome. This campground is an out-of-the-way place to stay. It is truly, out in the country, and the perfect spot for those wishing to avoid the big city noise and hustle and bustle. Some of the sites are fairly level, but about half of them are so uneven that campers are required to use several boards to get their rigs level. We were lucky in that we had one of the more level sites and had no problem getting our 44' coach level. 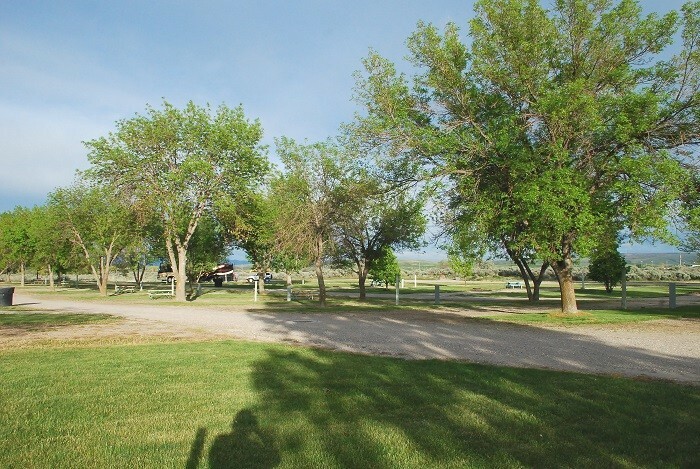 This campground is very clean, quiet, and friendly. There is a nice pond on site which is catch and release only, and has been stocked with bass, perch, and bream. The staff is very cordial and helpful, and works hard to keep the facility clean and in working order. We will definitely stay here again as we pass through the area. We camped at Mountain Glen RV Park & Campground in a Motorhome. If you stay here, make sure you bring everything you need. The nearest shopping we found was a small convenience store about 3 miles away. They had the staples, mil, bread, and some canned goods, but if you need more, a Super Walmart is about 28 miles away. 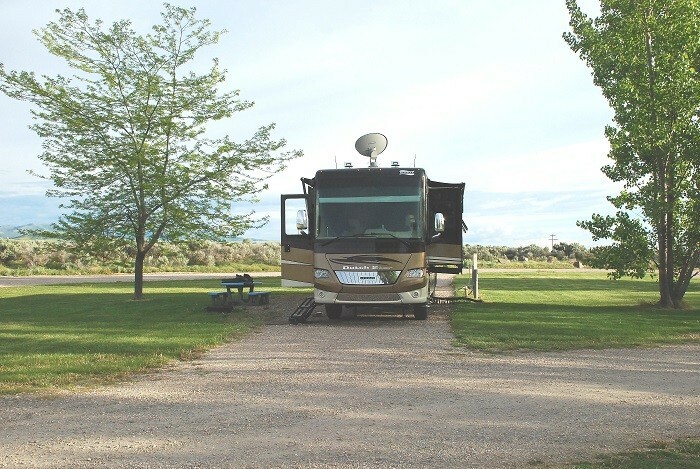 We found this to be a clean, well managed, and quiet RV park right on the Wind River. The staff at the campground went out of their way to accommodate us when we found we could not acquire a satellite signal with our roof mounted DirecTV dish. They moved us to another site which was just perfect. The sites are all gravel, but most are level and all have plenty of room. The Wind river runs around the campground and provided some good fly fishing as well as a relaxing and serene atmosphere for our evenings. We camped at The Longhorn Ranch Lodge & RV Resort in a Motorhome. The town of Dubois is just minutes away and is a quaint little town with some nice places to eat and shop. This is a really nice campground. 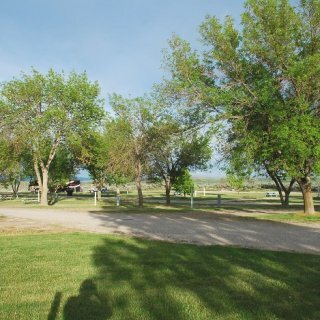 Scenic, clean, peaceful, and friendly, but if you are in a large coach the steep hills within this campground may be somewhat of an experience. We stayed here during several days of heavy rain and the steep hills with their gravel covering required us to use 4 wheel drive to negotiate getting out of our site and up to the exit. We really enjoyed our visit otherwise. We camped at Mount Pocono Campground in a Fifth Wheel. This is an excellent campground to stay in. It is extremely clean with plenty of wide spaced sites and level ground. The lake is an outstanding place for fishing. Because of their catch and release policy, we caught plenty of bass, sunfish, and crappie. We didn't have a single complaint, other than we had to leave this campground because of our schedule. We will be coming back. 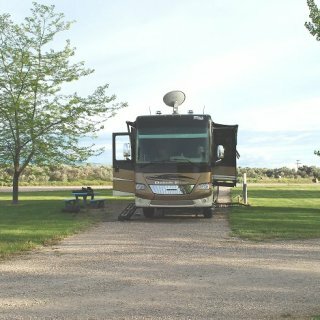 We camped at Aces High RV Park in a Fifth Wheel. A very nice place to spend a couple of days. A clean campground with an extremely friendly staff. The pond isn't big, but has lots of nice sized bass. The only negative that we experienced was that our site was too close to our neighbors site, making us feel that we were in an apartment. The weather, the atmosphere, the trails, and fishing in the pond made us forget about the nearness of our neighbors. We will definitely be staying here when we pass back this way. We camped at Woodland Campground in a Fifth Wheel.